A copper ear cuff with a simple swirl carries a handmade polymer clay angel wing that's blue and fades to silver near the tip. 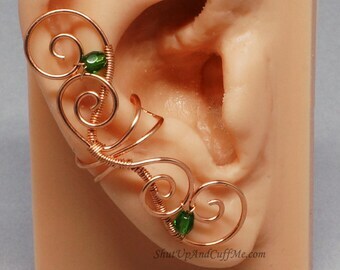 Focal for this cuff (the swirl on the front of the ear cuff) is approximately 5/8" (15mm) tall. 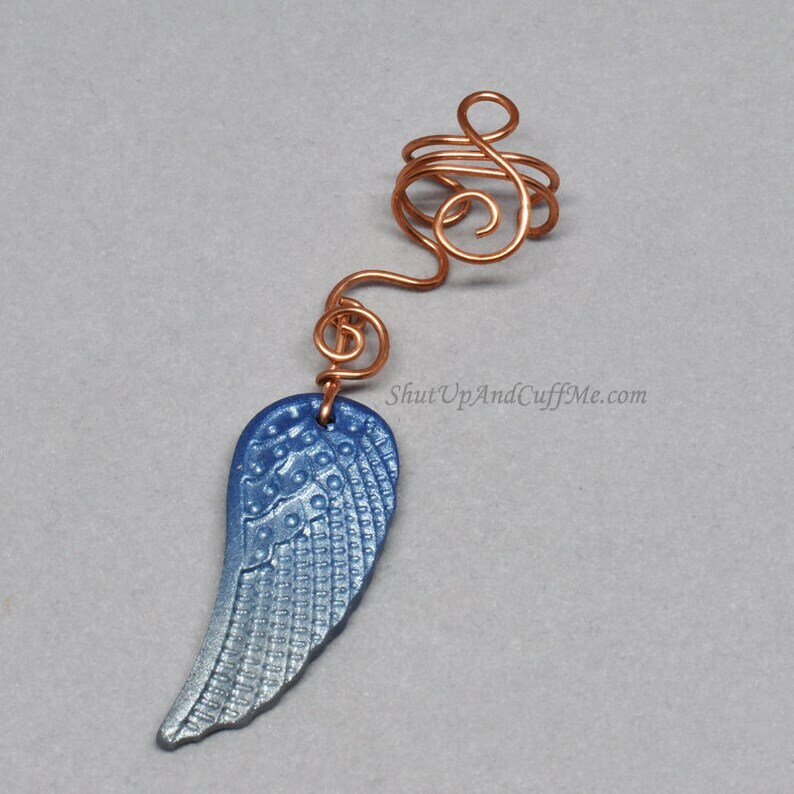 Total combined length for the ear cuff and the wing is approximately 2 3/8" (61mm). 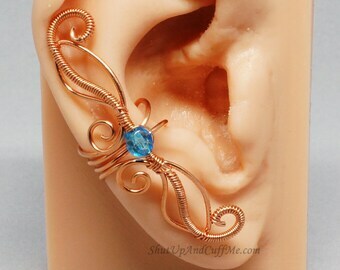 This cuff is made for the RIGHT ear only. 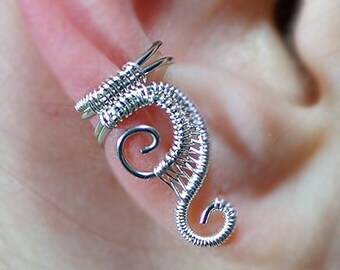 You will receive the exact ear cuff shown in the photos.